Find Local Professional Plumbers Contractors Fast, Free and Easy! EveryContractor connects millions of residential and commercial customers with the highest quality professional service providers in the industry. Founded in 1998 with the vision of providing personalized service and careful follow-through in every interaction, EveryContractor combines state-of-the-art technology with old-fashioned courtesy to make your contractor experience a pleasant and productive one. Our professionals work for you. The Everycontractor matching service is a very simple three step process where you simply fill in the project details to the left, describe your project needs and your contact info. Our project coordination professionals will contact you to discuss your project with you in order to gather the necessary information to match you to the most qualified contractor in your area. We will then pass your information to the most qualified professional for your project. Based on how many quotes you request, we will have one or more contractors contact you about your project. Are you considering updating your bathroom or kitchen sink? Maybe you just have a clogged toilet and you need some immediate help. Before buying a new bathroom vanity, or a new stainless steel kitchen sink, you should probably speak with a professional plumber to discuss your overall plan. Many times a homeowner will decide they want a certain sink or toilet in their house, but they are let down when they find out that their new unit won't fit right. Whenever possible try to hire a professional and let them do their job - it could save you thousands of $$ in the long run. Installing new plumbing (shower, toilet, pipes, etc.) can be a time consuming project, so if you feel overwhelmed then stop before you get in over your head. 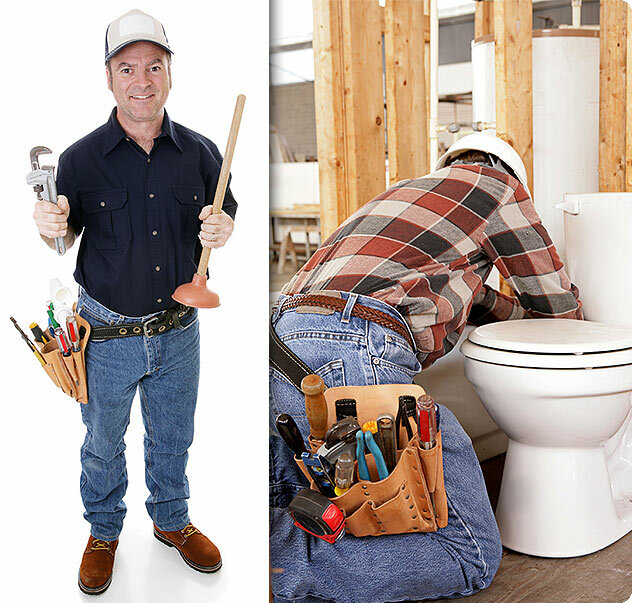 The next step would be to hire a residential plumbing contractor who is familiar with all the options available today. If you need any help with your next home improvement project just give us a call at 800-333-4050. Our number 1 goal is to make your next project fast and easy! Our professionals work around the clock contacting and selecting qualified contractors for your project, for you to save money. We offer FREE estimates with no obligation, and guarantee you free service with 100% top quality customer support service. Copyright (c) 1998-2008 EveryContractor.com (800) 538-3797. All right reserved.